Hull City midfielder Jake Livermore will face no suspension after testing positive for cocaine, the Football Association has confirmed. The 25-year-old was suspended by the FA and his club in May after failing a drug test, pending the outcome of a disciplinary hearing. Livermore tested positive after the death of his newborn son, Jake Junior. An FA statement said he was not given a ban because of "the specific and unique nature of the circumstances". Six pages of testimony relating to the impact the death of Jake Junior had had on Livermore were redacted in the published findings as they were "simply so sensitive and private". The commission added that the mitigating circumstances placed the case into a category "regarded as exceptional and indeed unique". The commission noted its decision was "not intended to set a precedent". "It will be a very rare case that does not fall within the express sanctions provided under the regulations and the World Anti-Doping Code," it added in its conclusion. "This however is a very rare case." Hull said they would keep confidential any internal disciplinary matters while continuing to support the player in his recovery. Livermore's club suspension has also been lifted, meaning he is available for selection. He was involved in light training on Thursday morning after being given the summer off. Tigers chairman Assem Allam said he was happy Livermore had been able to start training again. "I am very pleased," he told BBC Look North. "He is a good man and he has been through things that you wish no man would ever have to go through." City boss Bruce told the BBC last month that the death of Livermore's son had been a "mitigating factor" in his failed drug test. 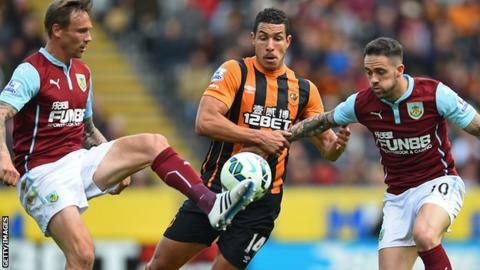 Livermore, who faced a possible two-year ban, joined Hull from Spurs for £8m in August 2014 after a season-long loan, making 35 league appearances last season as the Tigers were relegated to the Championship.